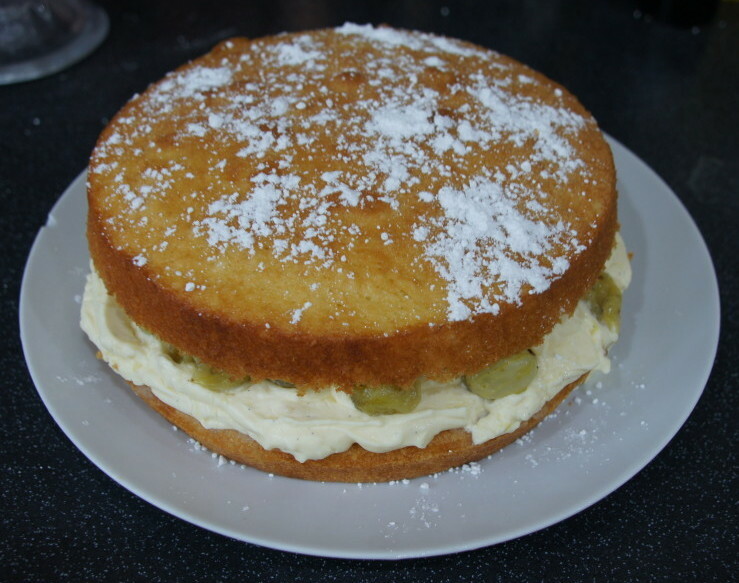 This is a perfect summer sponge cake . You will need 2 20cm round cake/sandwich tins. 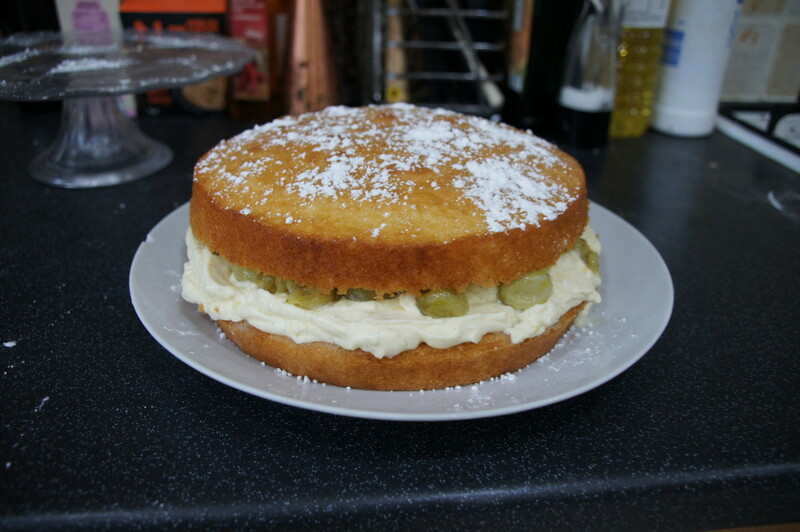 I have to say I had quite a creme patissiere disaster – it ended up very lumpy and I had to pass it through a sieve to try and salvage some of it! I don’t know what went wrong as when I made my raspberry millefeuilles last year I didn’t have any issues. 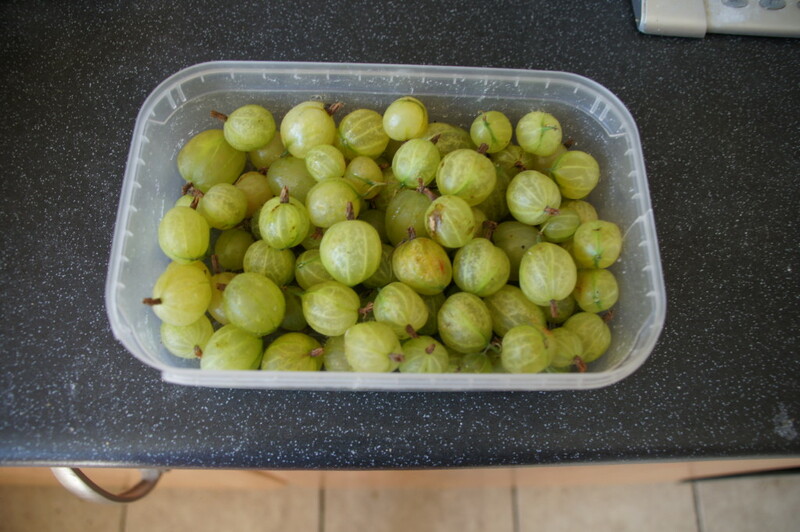 You may want to add some more sugar to the gooseberry compote depending on how sweet you want it to be. My colleagues were happy with how sharp mine was and I didn’t add any extra sugar. 1) Preheat the oven to 180°C/fan 160°C/gas 4. Butter and line 2 x 20cm round cake tins with baking paper. 2) Cream the butter and sugar until fluffy, then gradually mix in the eggs with a little of the flour. Fold in the remaining flour, vanilla and milk, until smooth. Divide between the tins, level, and bake for 20-25 minutes. Cool for 10 minutes, then turn out onto a wire rack and cool completely. 3) Meanwhile, make the crème patissière. Heat the milk, vanilla pod and seeds in a small pan, until simmering. Whisk the yolks, sugar and cornflour in a bowl. Slowly whisk in the hot milk and return to the pan. Cook, stirring, for 2 minutes, until very thick. Discard the pod, cover the surface with cling film and cool. 10 minutes (allow a little longer if frozen), stirring occasionally, until soft. Stir in the elderflower cordial – add more sugar if it’s tart. Cool completely. 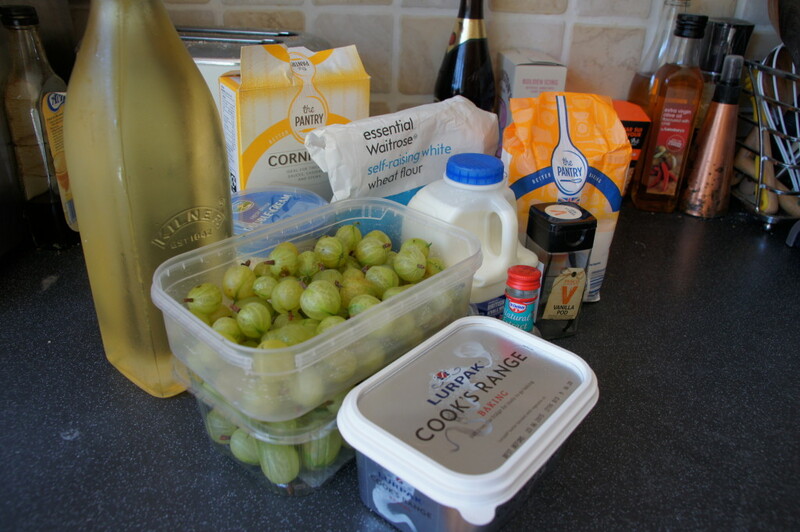 5) Whisk the cream and elderflower cordial to stiff peaks. Whisk in some crème patissière to loosen, then fold in the rest. 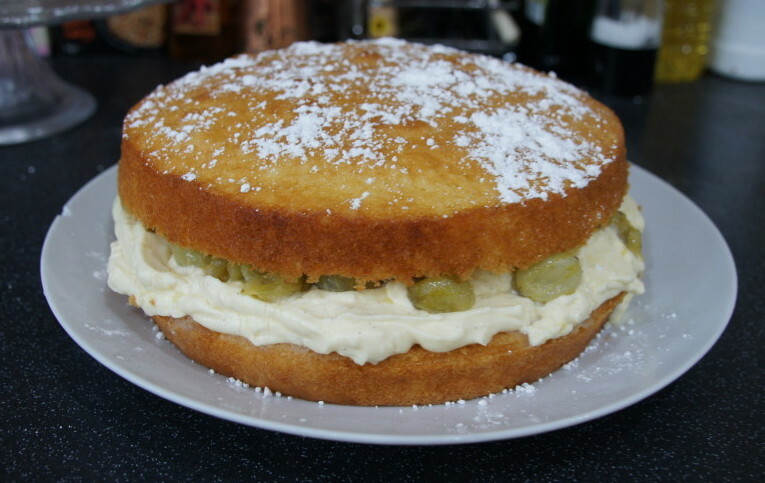 Spread onto the flat side of 1 cake, then top with the gooseberry compote. 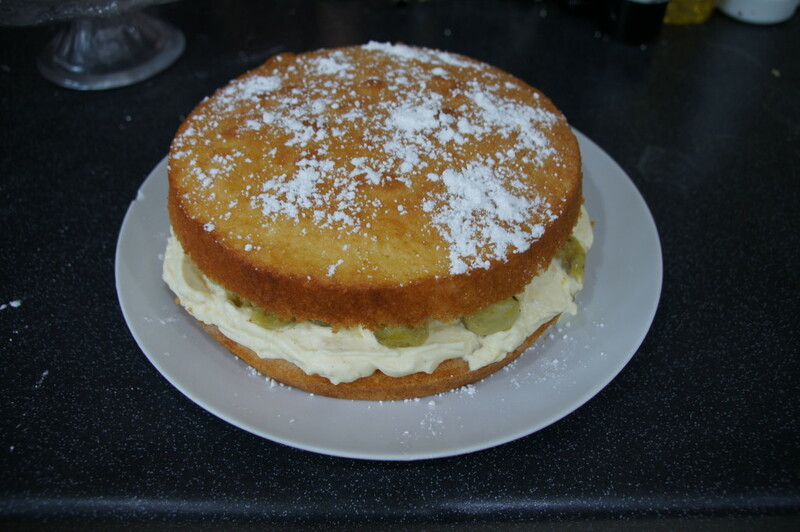 Sandwich with the other cake, flat-side down, then dust with icing sugar to serve.